Frank Stella. Photo by Kristine Larsen. "Euphonia" detail in Moores Opera House. Photo by Morris Malakoff, The CPK Group. RSVP for "An Evening with Frank Stella"
Public Art of the University of Houston System and program chair Judy Nyquist invite the public to attend “An Evening with Frank Stella” at the University of Houston’s Moores Opera House. The Moores Opera House is the site of Stella’s “Euphonia,” a mural commission completed in 1997. 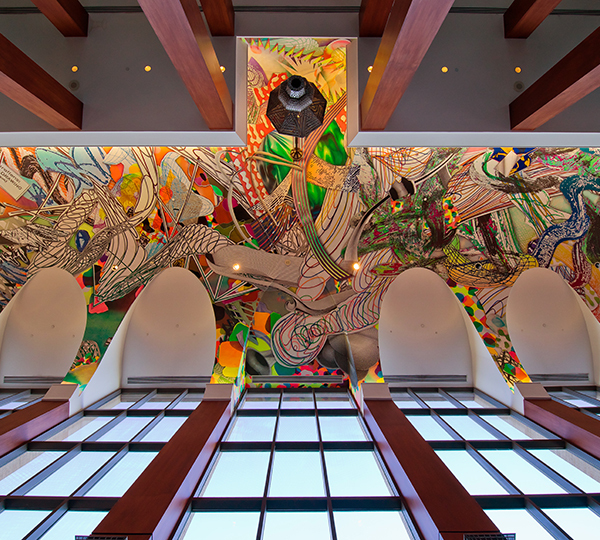 This immersive artwork — the largest in the UH Public Art collection — spans three areas: the 100-foot-long barrel-vaulted ceiling of the lobby, a large-scale triptych on the mezzanine level and the catwalk inside the opera house. The collage of abstracted imagery and patterns is an exuberant celebration of color and rhythm. The program celebrates the 20th anniversary of the work’s completion. Following an introduction by Michael Guidry, curator of Public Art of the University of Houston System, Stella will discuss his work and the role of art in public places with Alison de Lima Greene, the Isabel Brown Wilson Curator of Modern and Contemporary Art at the Museum of Fine Arts, Houston; Rick Lowe, faculty member at the Kathrine G. McGovern College of the Arts and founder of Project Row Houses; and Don Bacigalupi, founding president of the Lucas Museum of Narrative Art and director of the Blaffer Art Museum at the time of Stella’s commission. 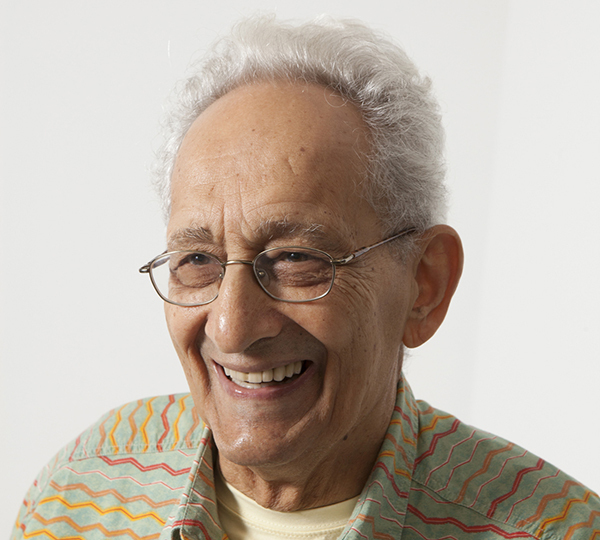 “An Evening with Frank Stella” will take place at 7 p.m. on Friday, February 9 and is first of several planned programs leading up to the celebration of the Public Art collection’s 50th anniversary in 2019. Highlights include temporary art installations, lectures, walking tours and other public engagements. Admission is free, but reservations are required. For additional information and to RSVP, please visit uhouston.imodules.com/StellaPublicArt.